The Lab — Canvas Presents, Inc.
We test our programs in The Lab before bringing them out into the world. Gathering the finest performers and minds to execute our programs, we prototype our concepts in front of a limited audience of 50 to 100 people in Los Angeles. 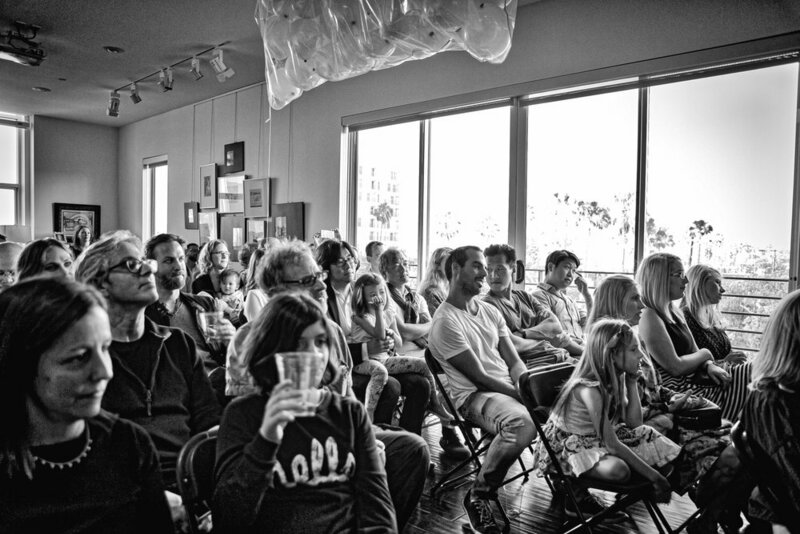 Lab shows are not publicly advertised; audience members are invited by previous audience members, performers or members of the Canvas leadership team. Seating is limited and paid tickets are purchased in advance to secure a seat. Since our first program in 2007, 1500 different people have attended Lab performances. The music stories that prove most compelling are presented in theaters, schools and community centers across the United States. Many of the music stories Canvas has explored have engaged directly with non-music organizations for research and partnership. Those organizations have been recipients of donations and the opportunity to present in front of the Canvas Lab audience. In addition, upon receiving the gift of our beautiful Steinway grand piano from a patron, we wanted to pay it forward to other musicians. Canvas donates proceeds from one Lab program each season to young musicians in the Los Angeles area. While we love kids, our test programs at The Lab are intended to benefit adult audiences. Our programs average seventy minutes in length without intermission and include terminology that may not be understood by a younger audience. Older children who are interested in music and able to maintain their attention are welcome to attend with an adult. But sometimes, it’s all about the kids. And boy, is it fun! We do occasionally offer programs for kids. We love sharing The Lab with kids and families who are interested in seeing serious music played up close. Our Halloween concert is a big hit with kids. We ask our audience “why do songs sound spooky?" Our Jim Henson tribute show is a favorite for all ages, bringing together multiple generations. And we love getting kids involved in singing and making music at our winter holiday program.